On Thursday afternoon, the major American market indexes did something that they hadn't done for over 15 years - they all closed at new highs. On December 31st, 1999, the SP 500, NASDAQ and Dow Jones Industrial Average all closed at new highs despite worries about Y2K. These were simpler times for the country, as December 31st, 1999 was pre-9/11, pre-financial crisis and pre-dot com bust. Many Americans were day traders, hopping in and out of the newest Internet IPOs and making a great deal of money in the process. Many of the companies that they flipped would go out of business within just a couple of years after the bubble popped. The markets soared to unbelievable heights in 1999. In 2000, the dot-com bubble would start to burst, which resulted in the NASDAQ losing well over half of its value. After that, there was 9/11, the war in Iraq, the financial crisis of 2008, multiple terrorist attacks in the United States and around the world, the end of Bill Clinton's second term, George W. Bush's two terms and Barack Obama's two terms, along with countless other events that took place since the end of 1999. After all of that, the markets finally regained their highs nearly 17 years later. Massive monetary stimulus certainly helped, as well as the rise of companies such as Facebook, Apple and Google. Facebook didn't even exist in 1999, Google was just over a year old and Apple was struggling mightily. Now, these three companies have three of the largest market caps in the world. 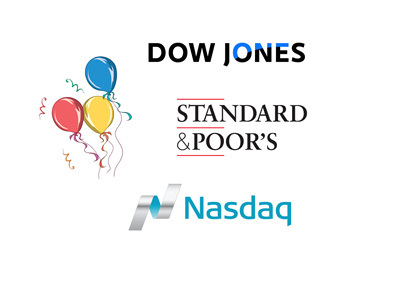 After an incredible run over the past 7-8 years, many investors are wondering what the future holds for the DJIA, NASDAQ and SP 500. With stratospheric valuations causing many billionaires to dramatically increase their cash holdings, can the markets continue their torrid run, especially in a tightening interest rate environment?